This picture picture definitely does not due this sandwich justice. This idea was suggested by one of my friends and my mom. 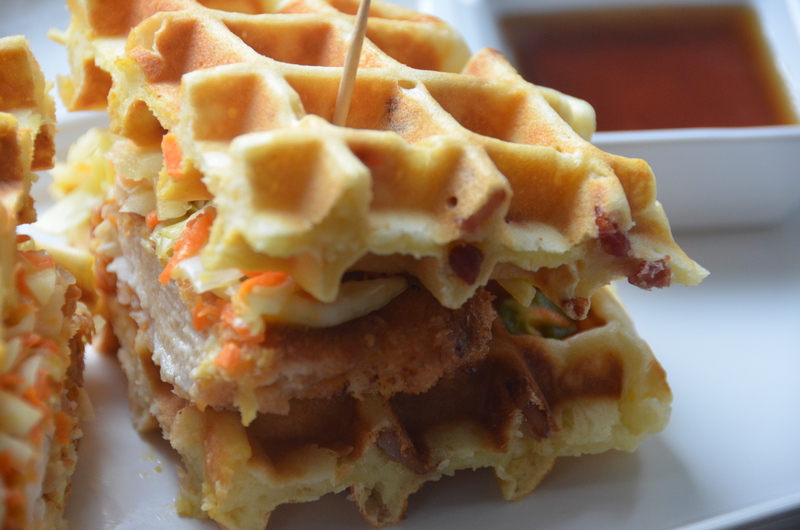 I didn’t want to do just a plain waffle with a pice of chicken on top. So, I added a little bacon to the waffle batter and topped with a spicy and sweet slaw with maple and jalapeno. This recipe, takes two days so prepare in advance. Both the chicken and the waffles have to rest over night. It is well worth the wait! Serve with maple syrup on the side for a little extra sweetness. Combine all ingredients except for chicken in a bowl and whisk to combine. Add chicken cutlets, cover with plastic wrap and refrigerate at least 5 hours, overnight is best. Combine all ingredients in a shallow bowl. 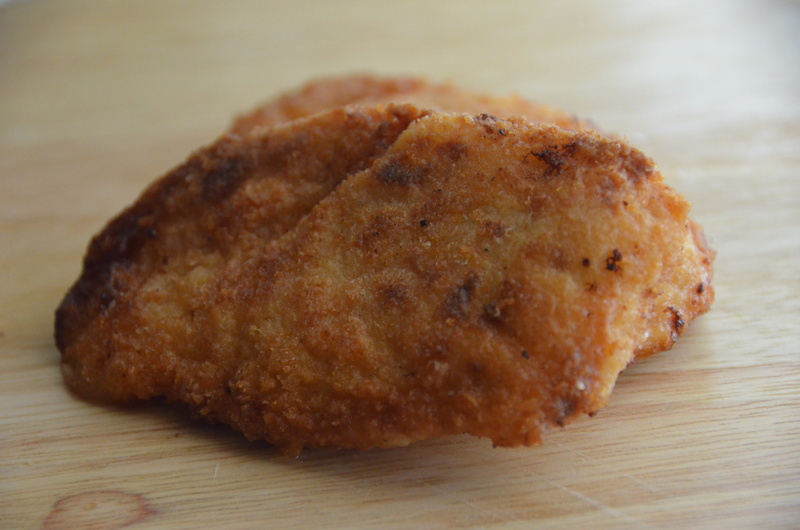 Remove chicken cutlets from buttermilk and dredge in flour/panko mixture. Set aside. After bacon is cooked for the waffles, add enough vegetable or canola oil to pan with bacon drippings about 1/2 inch thick. Heat oil and fry cutlets about 5 minutes per side until golden brown and cooked thru. Cooking time my vary depending on thickness of your cutlets. Drain on paper towels. Add all ingredients to a bowl except for bacon. Whisk well to combine. Cover bowl with plastic wrap and let sit out at room temperature for one hour. 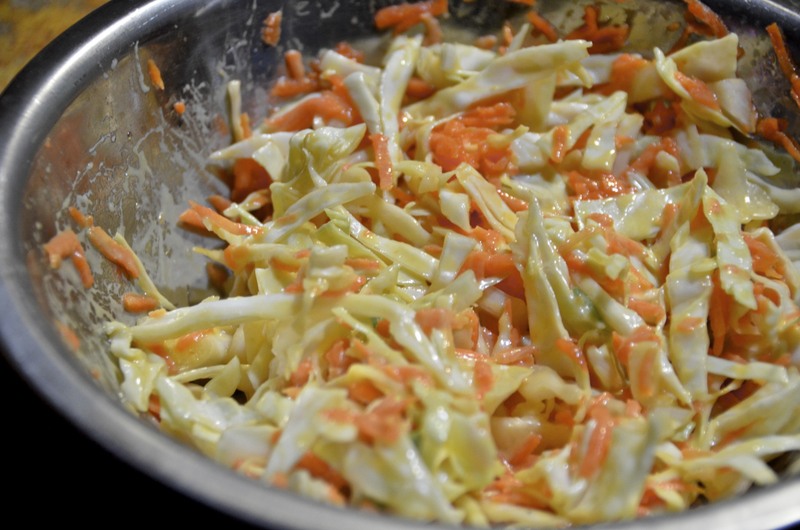 Place batter in refrigerator and let rest overnight. The next day, chop bacon in small cubes and cook until crispy. 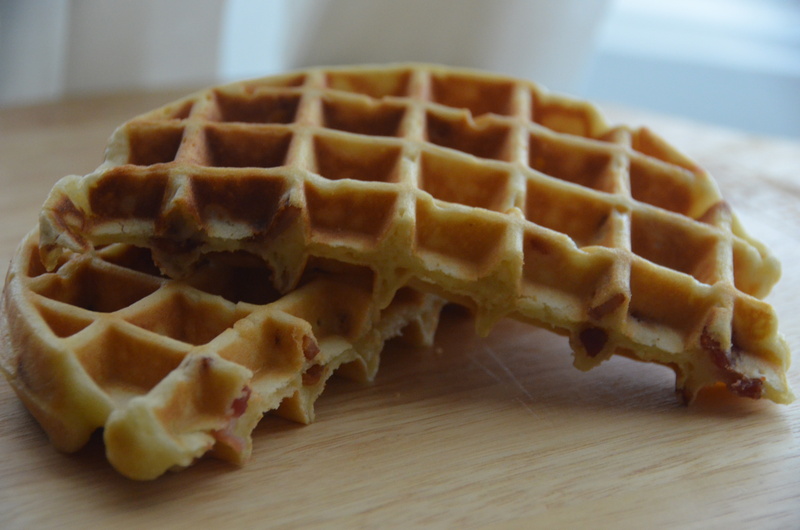 Drain on paper towel and fold bacon into waffle batter. To cook waffles, spray waffle iron with cooking spray and cook according to manufacturers instructions. Combine ingredients and mix well. Refrigerate until ready to use. 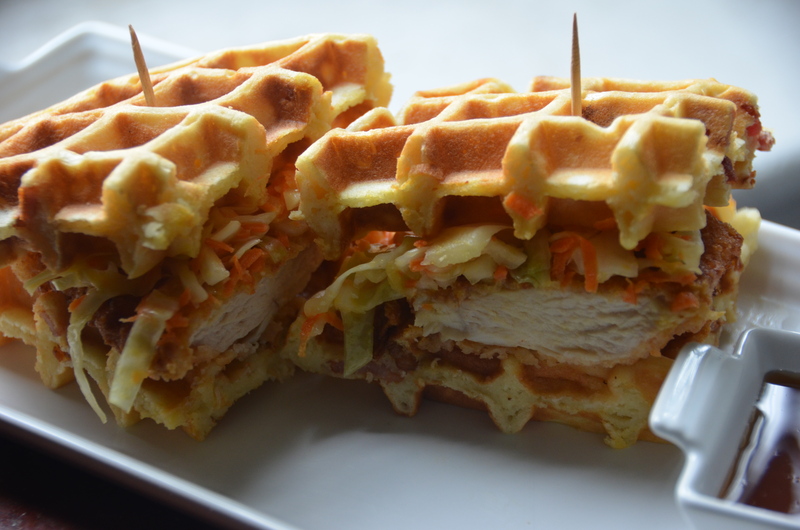 To assemble sandwiches, cut one waffle in half, add chicken cutlet and top with maple jalapeno slaw. Serve with maple syrup on the side. looks delicious! Will try this recipe. Thank you for sharing!